Robotic Pool Cleaners are more advanced then ever. Making it easy to keep your pool sparkling clean. 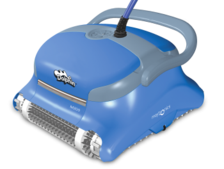 Vacuums, scrubs the walls and waterline, increases circulation in the pool A Definite must for all pool owners. 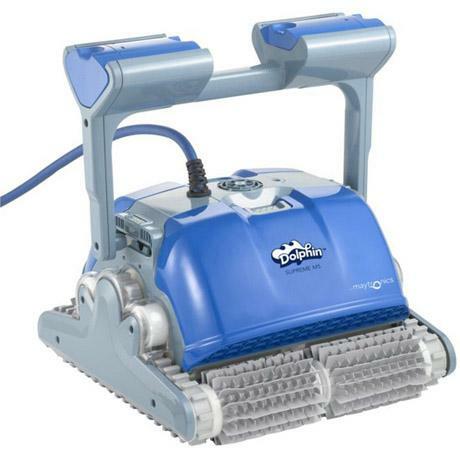 Dolphin Supreme M200 is the ideal robotic pool cleaner for pools up to 10m (33ft) in length. With minimum investment, you can enjoy total pool floor cleaning, including the difficult-to-reach angle where the floor meets the walls. Full two-year bumper-to-bumper warranty.